Now, the hood has only a tiny LC-Display that shows only the choosen level no longer the time:backlit LC-Display that shows choosen Level and backlit function buttons. 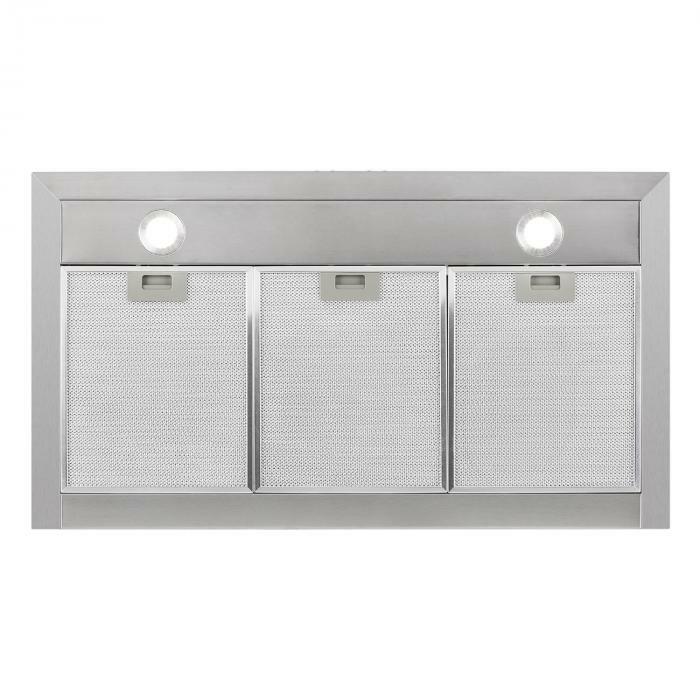 Mounted cooker hood with three power levels and stainlesssteel body. 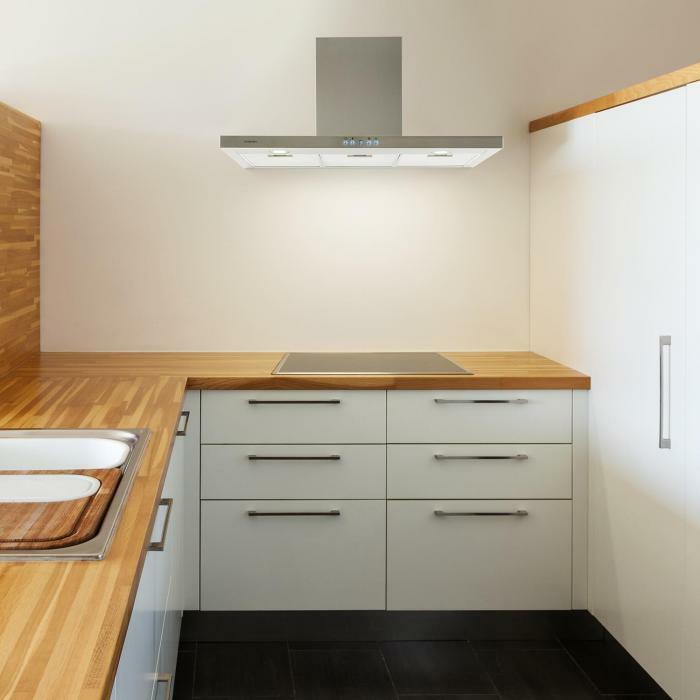 Ideal for medium to large cooking surfaces. 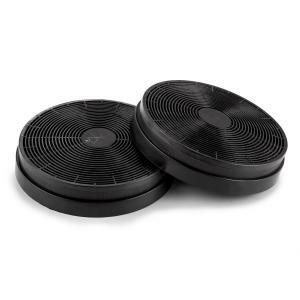 The Klarstein RC90WS extractor fan provides aircirculation for medium to large kitchens oozing with food odour. 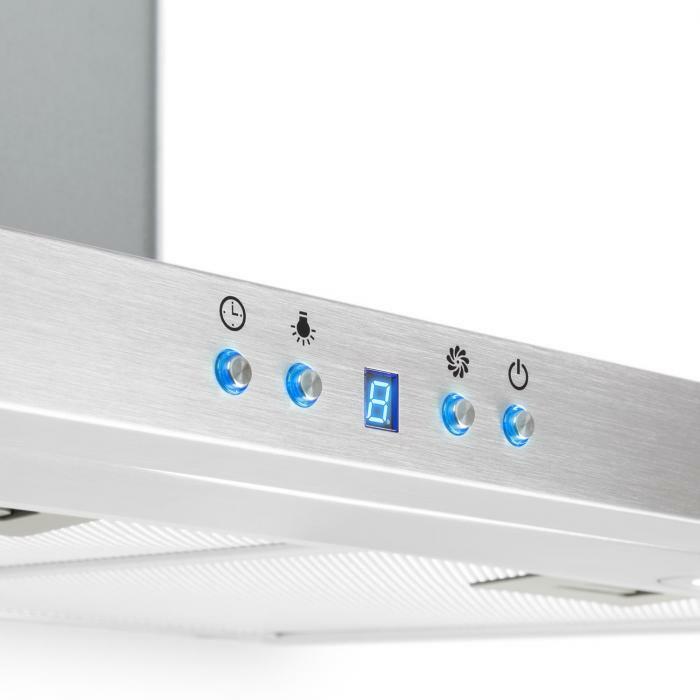 For differentdegrees of cooking activity, the extraction fan can be set to three differentlevels. The highest performance level transports up to 650 cubic meters of air fromthe kitchen per hour and due to its extra-large intake, is ready to tackle thehaze left after several courses. The volume and the power consumption are bothkept within their limits during operation. 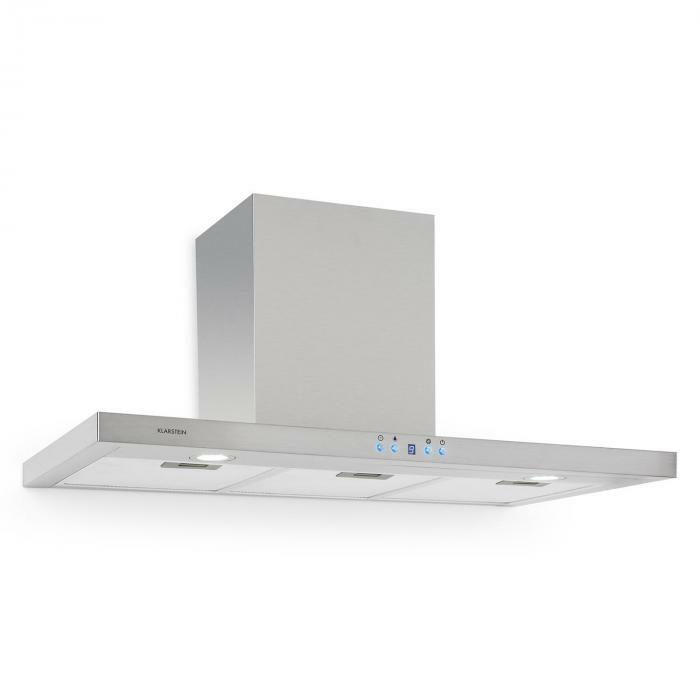 With its 90cm width, the extractor fan fits easily over themost extravagant cooking surfaces. This device from Klarstein is designed for hangingabove a hob and the required mounting bracket is included. 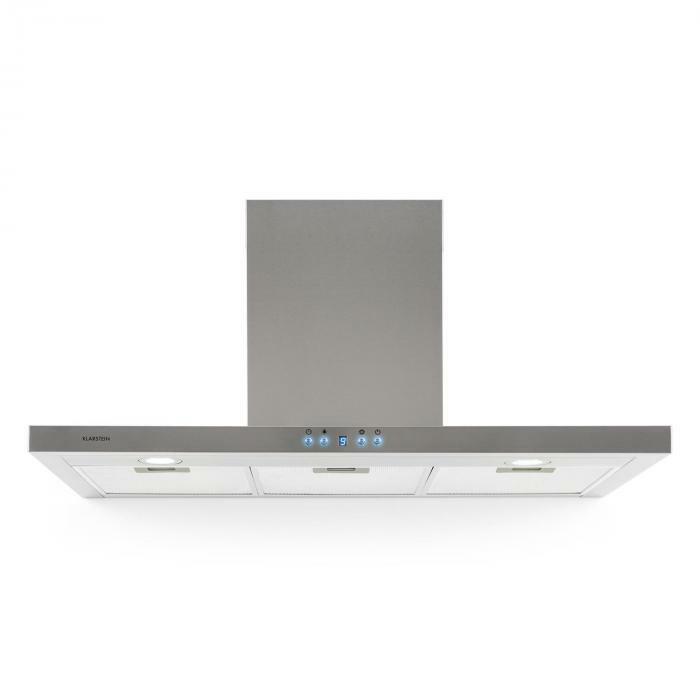 With its brushedstainless steel body and flue duct the extractor fan fits perfectly in visuallymodern kitchens. Even in dim lighting conditions, one would still like to beable to see what's bubbling in pots. 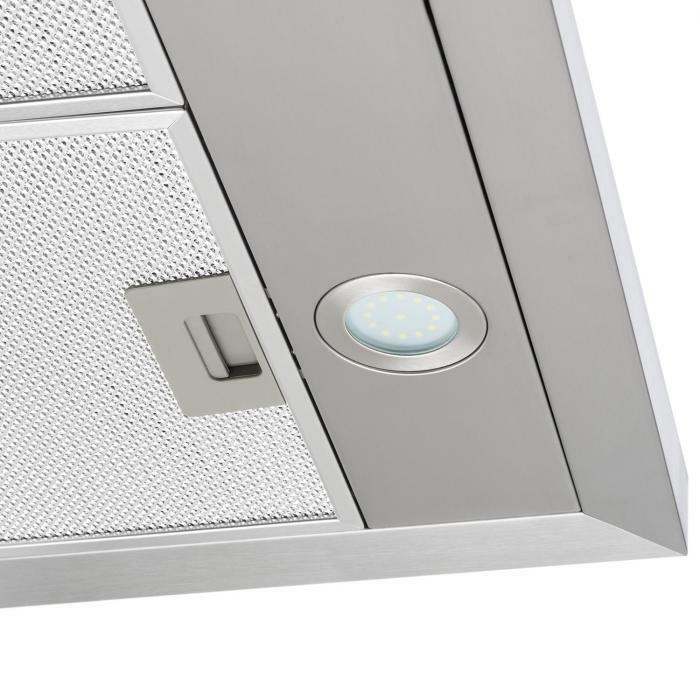 For these situations, the two switchable20W lamps on the extraction hood can be used to light the cooking area below. 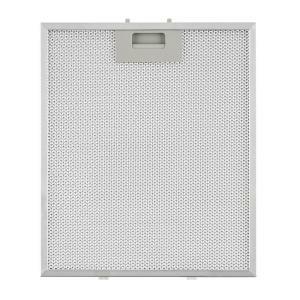 To protect the interior of the hood and the exhaust air ductfrom contamination, the RC90WS from Klarstein has 2 removable anddishwasher-safe aluminium grease filters.